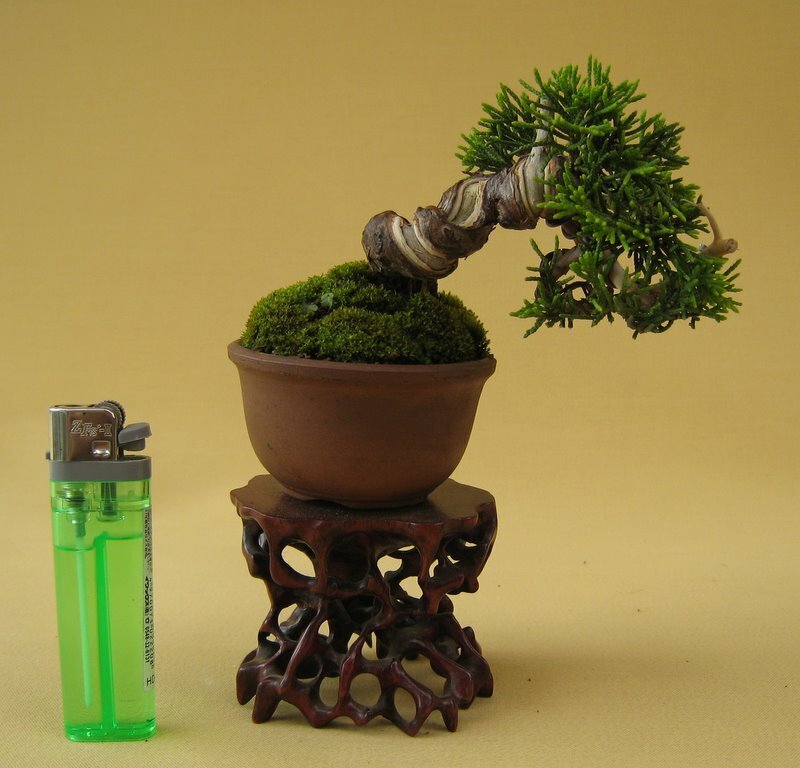 You are currently browsing the category archive for the ‘Bonsai Techniques’ category. The blog has taken a bit of a back seat of late. I notice that my last post was from back in July last year! 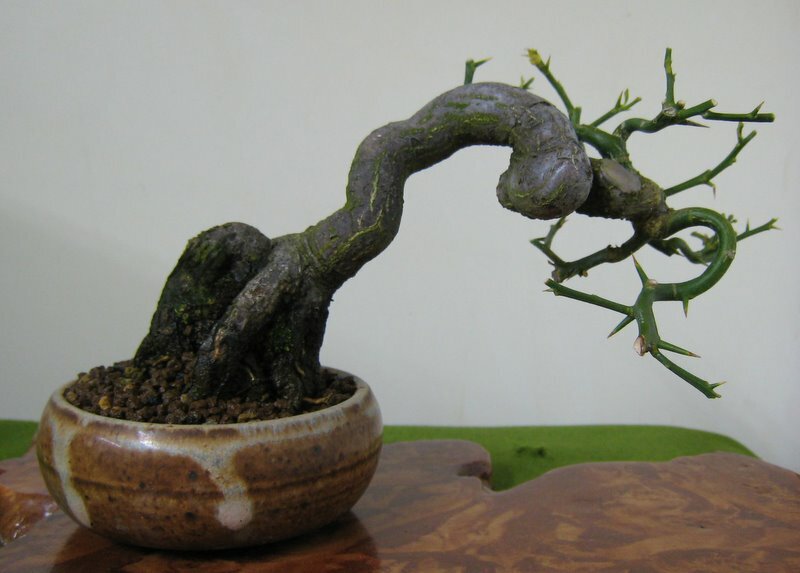 Things have been pretty busy since then with moving to a new city, starting a new job, renovating an old house and having a child all leaving me with very little time for bonsai related work. That said I have been able to get the tools out from time to time and have been styling customers trees and working on my own trees as time has allowed. 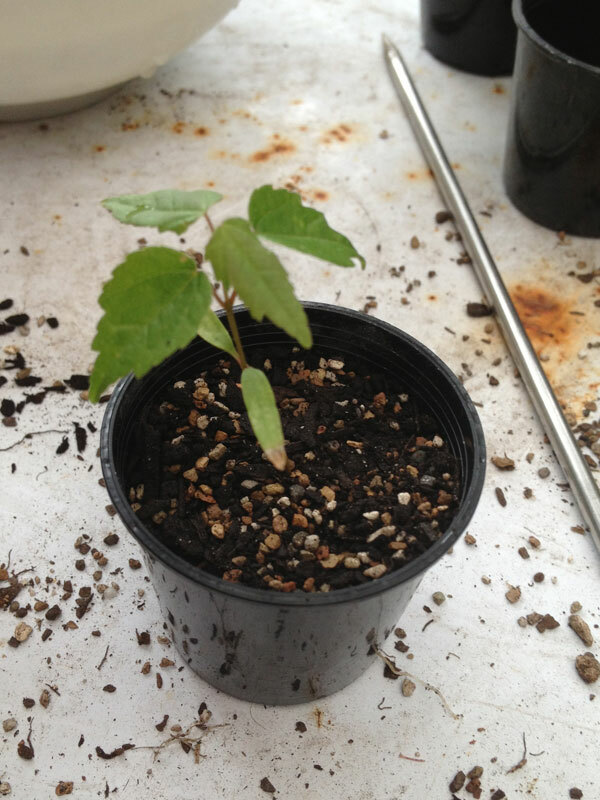 A trident Maple that was field grown with pretty good roots. There were a couple of gaps which I decided could be filled in with some approach grafts. 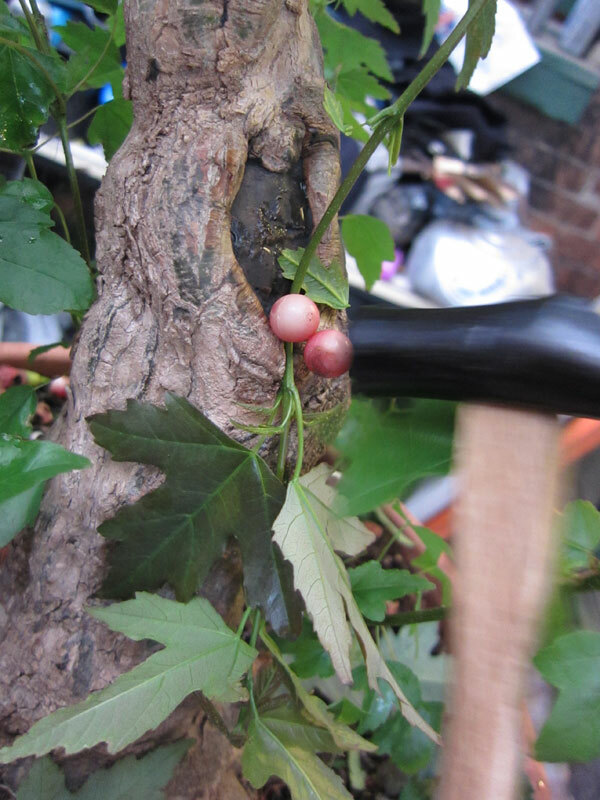 You can see the small trident whips that were selected to be used for the grafts in the background. Most years i make fertiliser cakes from a range of ingredients (usually what is cheap or on special when it comes time to buy them) although the cakes that I have previously made have never really lived up to expectations. For those that have used the fertiliser cakes in Japan I am sure you would have noticed an interesting thing. When the cakes have been on the soil surface for a few days they begin to get a white felt like mould on the underside and begin to omit a pleasant fermenting kind of smell. 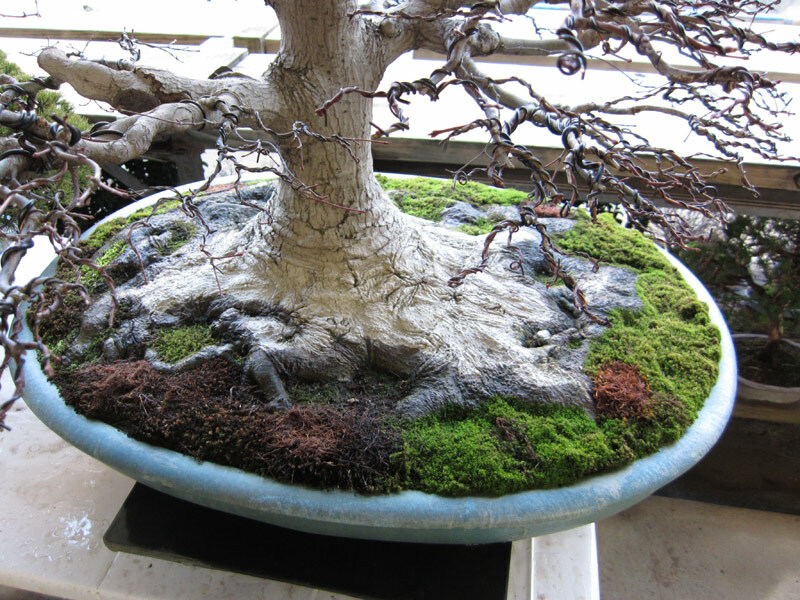 When I worked with Mario Komsta, he always got excited when he saw this mould as it was a sign the cake was breaking down and feeding the bonsai. The cakes I have been using here in Australia have never got the mould that those in Japan got. I put this down to a couple of things. Firstly climate. Japan gets a whole lot of rain over their summer where as here in Australia we are usually hot and dry for most of the summer. The problem I was having with my cakes was that they were drying out and were then hard to re-wet and get them breaking down again. Japan was always so humid over summer that the cakes once wet stayed moist and were able to break down. To try to combat that this year I am trying using my ingredients loose inside tea bags. 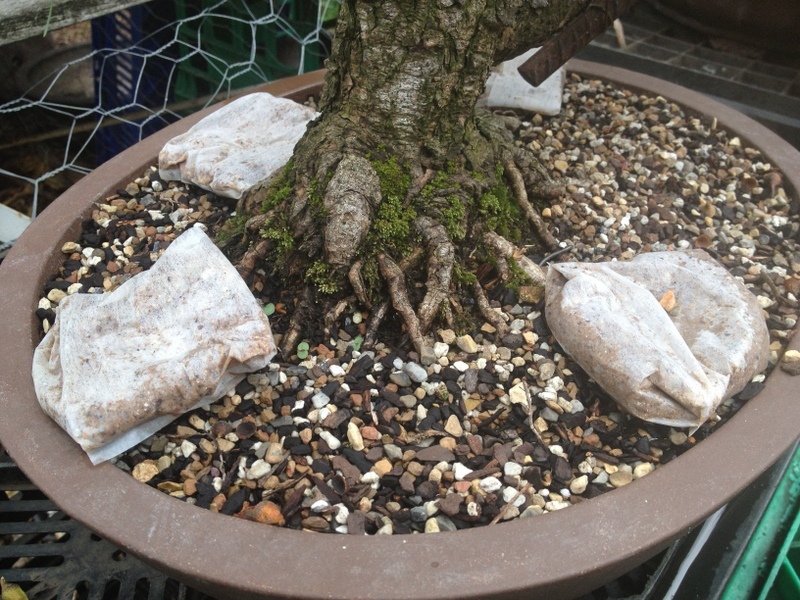 The idea is that they will be much easier to re-wet each watering and hopefully break down much more quickly and hence feed my trees better. 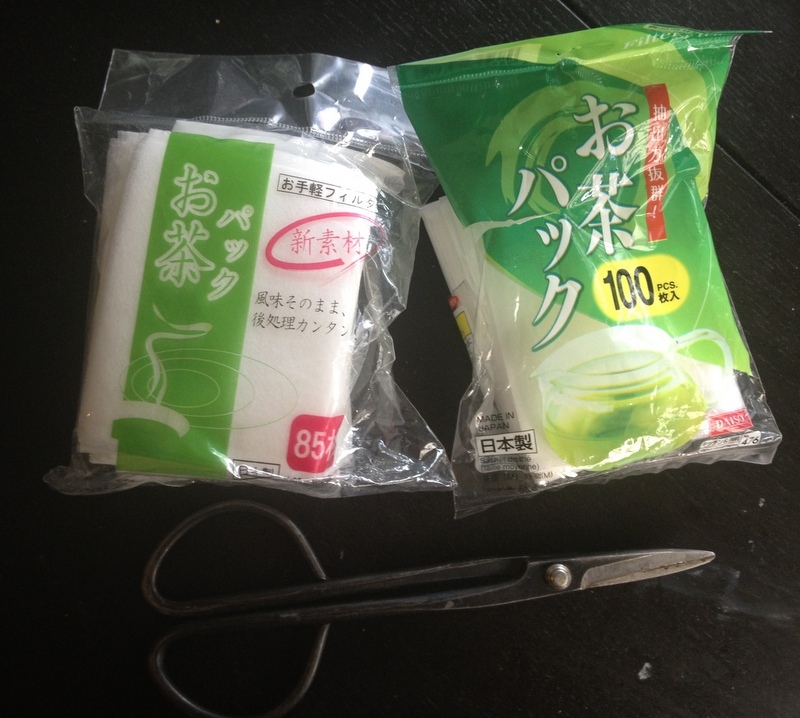 Tea bags, for making your own tea blend bags and a pair of scissors I need to re-profile. I found a cheap supplier of tea bags in the form of a Japanese 100yen shop called ‘Daiso’ which has just opened a couple of stores in Melbourne. $2.80 for 100 bags. 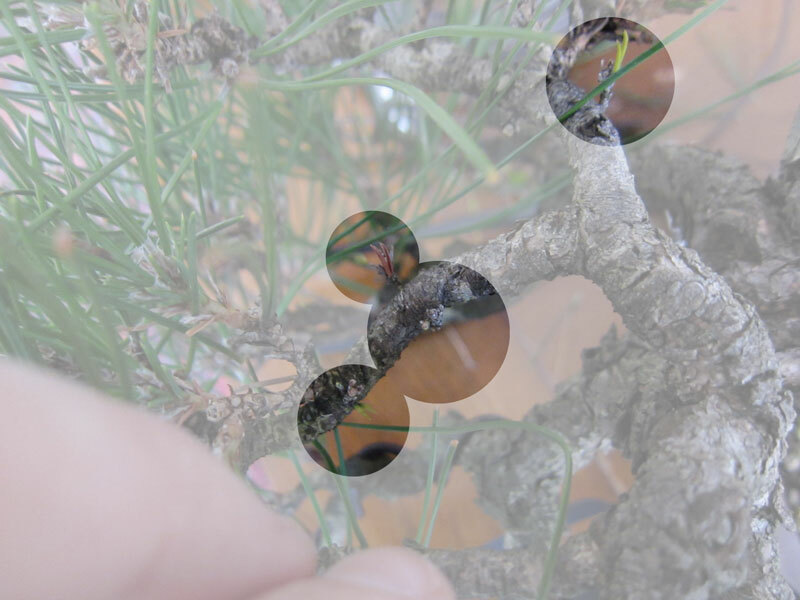 garden lime – 1 parts. The process of making the fertiliser bags is fairly easy and mess free. I fill the bags with a large spoon full of my mix and fold the bag shut. 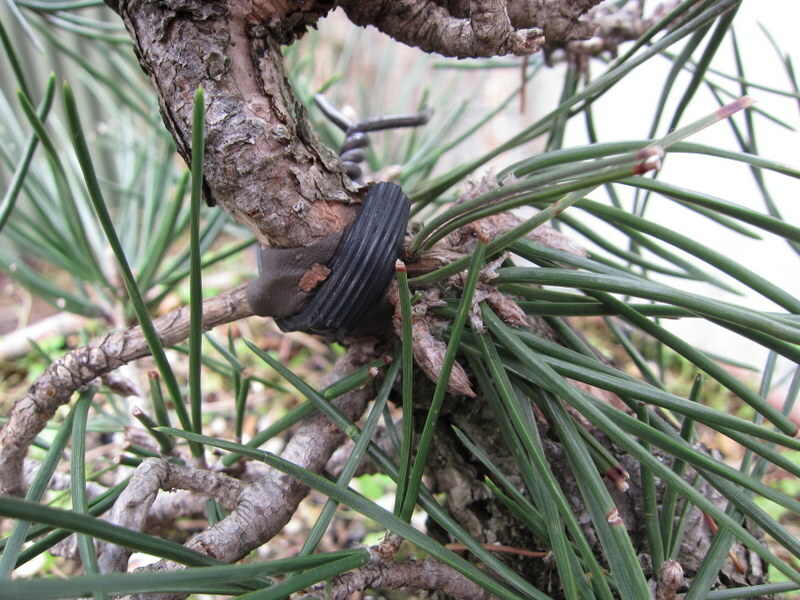 The cakes are now pretty much ready to go on the trees, but I do one more step prior to putting them on my bonsai. I soak the filled bags in a fish emulsion solution to fully wet the ingredients and add a bit of extra fish emulsion kick to them. 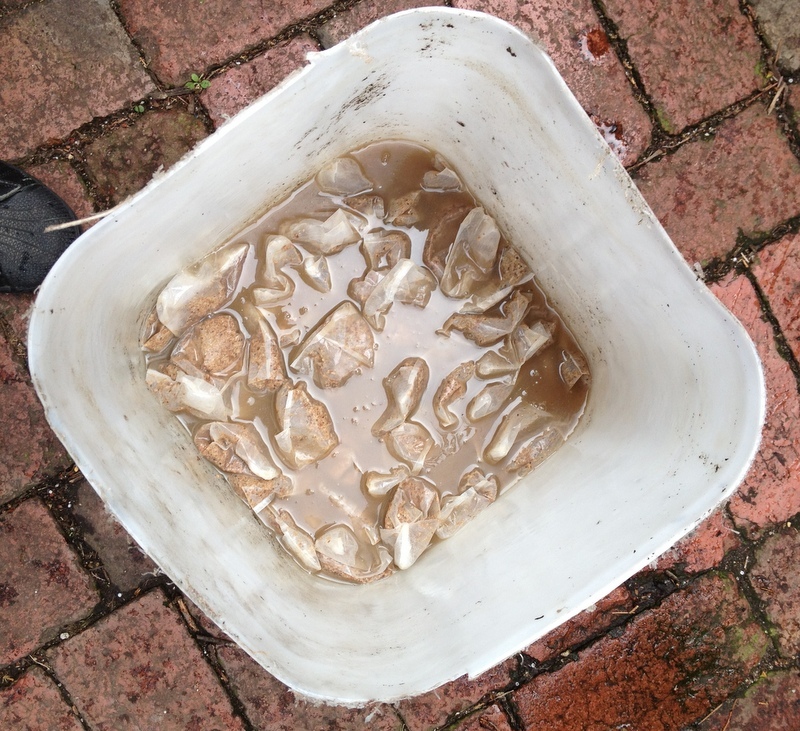 Once on the soil I like to place a small dimple in the top of the bag/mix so that every time I water, a small amount of water pools on the surface of the fertiliser and helps to re-wet it. Now it’s not the most attractive solution but it does have a few extra benefits out side of easy re-wetting. 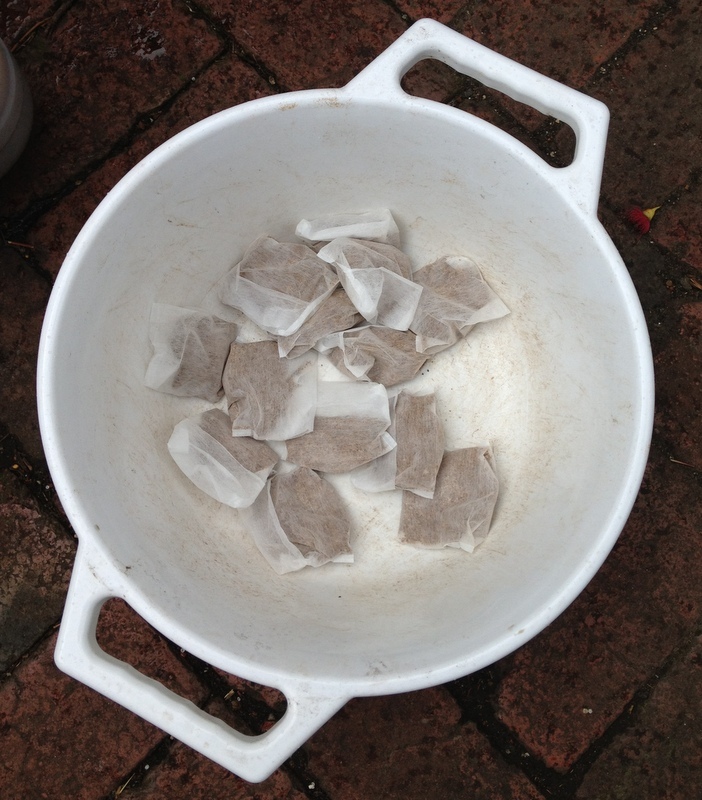 Firstly because all the ingredients are contained in the tea bag this stops a lot of the loose material clogging up the soil surface and hindering drainage. Then they are also very easy to remove and replace at de-candling time which is also a plus in my book. Possibly the biggest side benifit is there is no smell while making the cakes using this method, and no smell means no complaining neighbors and stinky backyard. Also not having to dry cakes means you can make them early in the season before the weather heats up to drying temps. 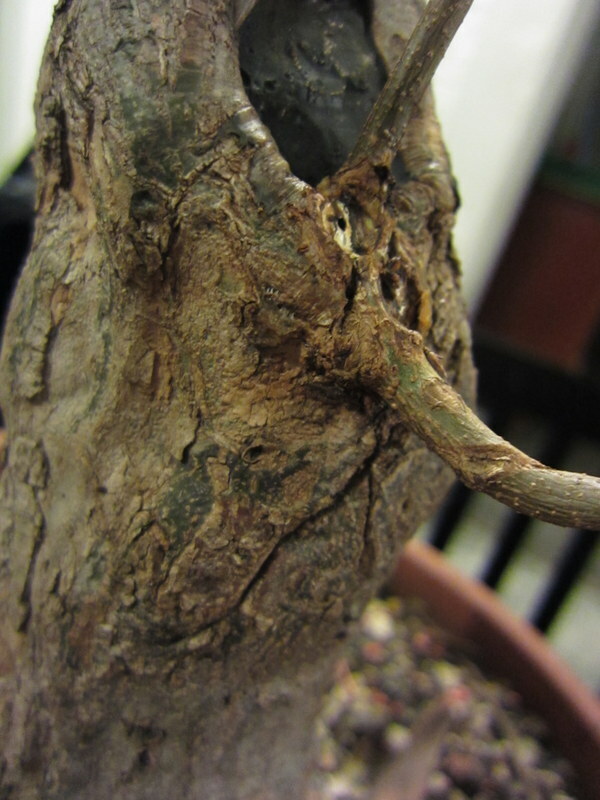 I look forward to seeing if i get the white mould and the working fertiliser smell……. fingers crossed! During my recent trip to Japan i managed to visit Fuyo-en. 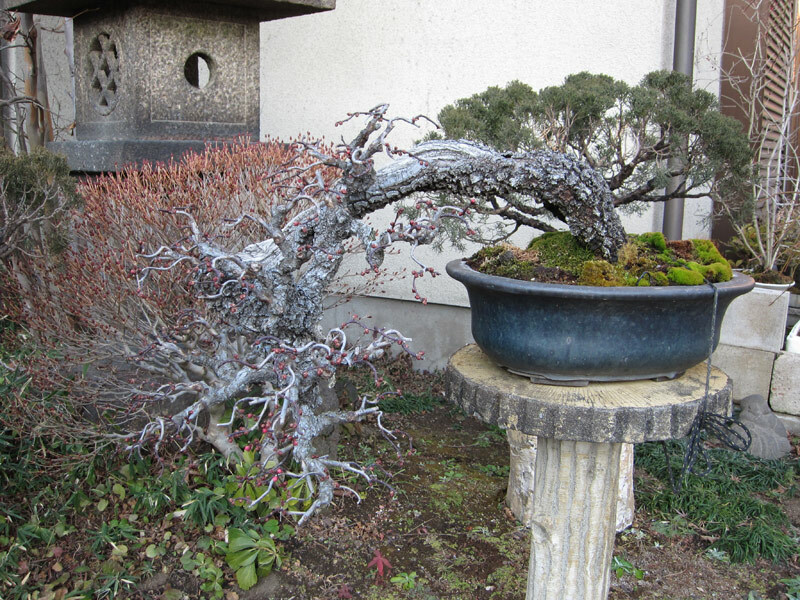 Fuyo-en is a garden that always has a high number of quality bonsai. I was a little pine-ed out by this part of my trip so it was nice to spend some time with their amazing deciduous trees. I took a number of photos which can be found HERE. What was also nice was to see some of the recent work that was going on around the garden. 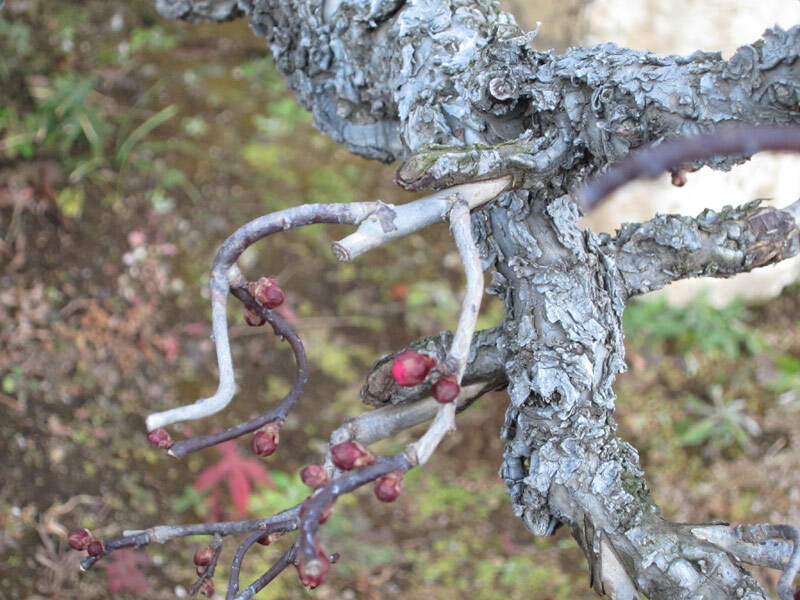 The frist bonsai i noticed of interest was what I am guessing was a flowering apricot. 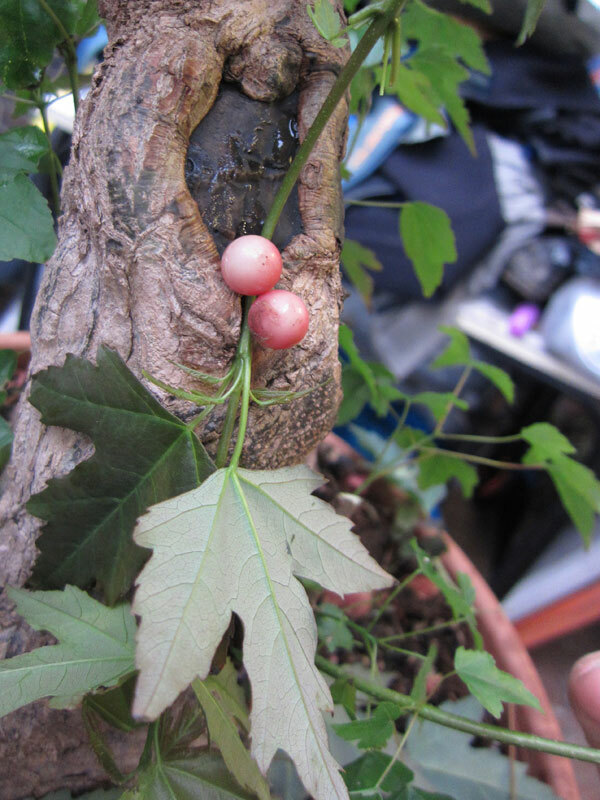 It had recently been grafted in a number of places. 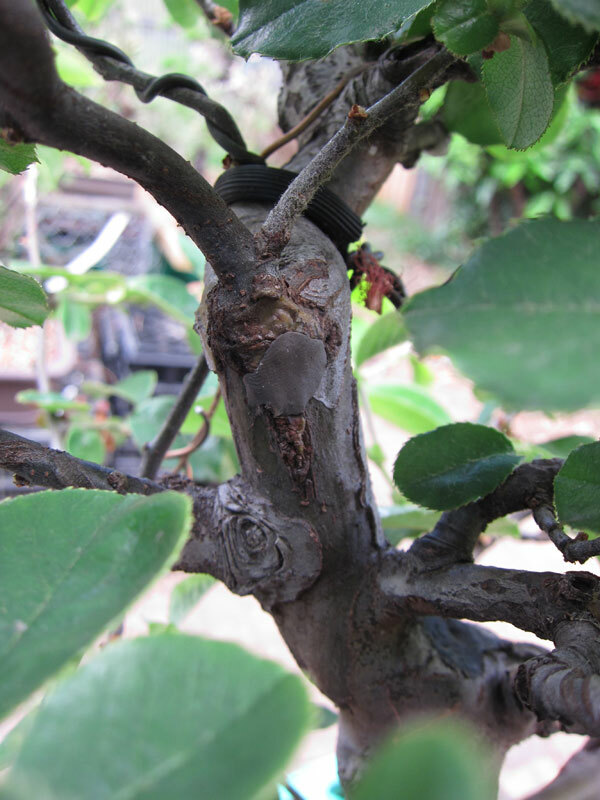 I have read that these trees often need to have young wood grafted into areas of older wood to maintain vigour and keep the bonsai compact. 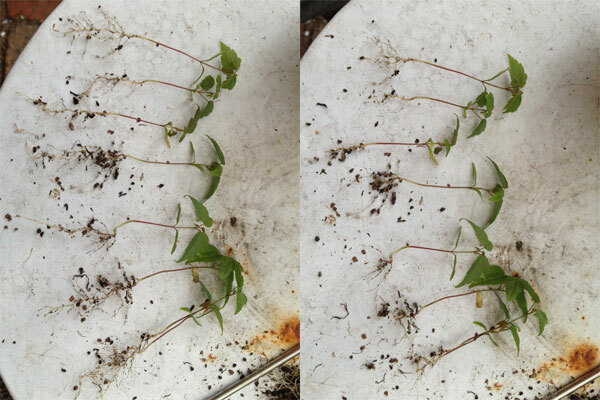 Although the grafts looked to not have completely healed nearly all of them were producing flowers as can be seen below. 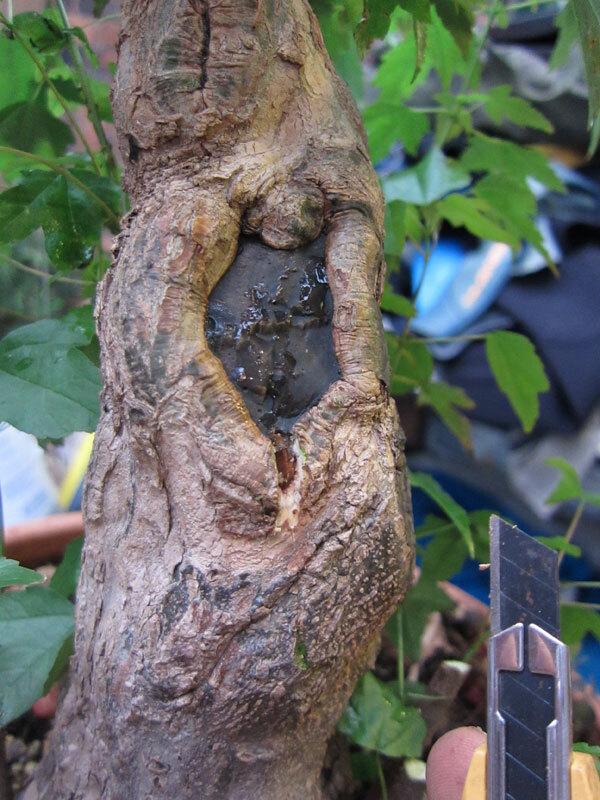 One of the other trees that caught my eye was a maple with an enormous nebari. 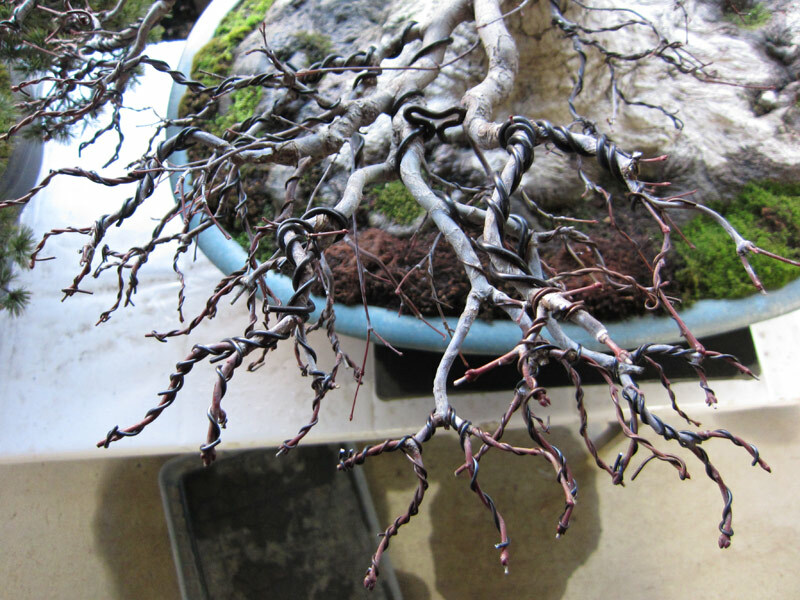 The bonsai was being worked on by one of the apprentices who was wiring all the branches to the tips. I always enjoy seeing techniques done by Japanese professionals. Even seemingly simple tasks can reveal tip and tricks when performed by someone who works at these high levels. One such trick that can be learnt from the above image is the use of the little wire bracket. 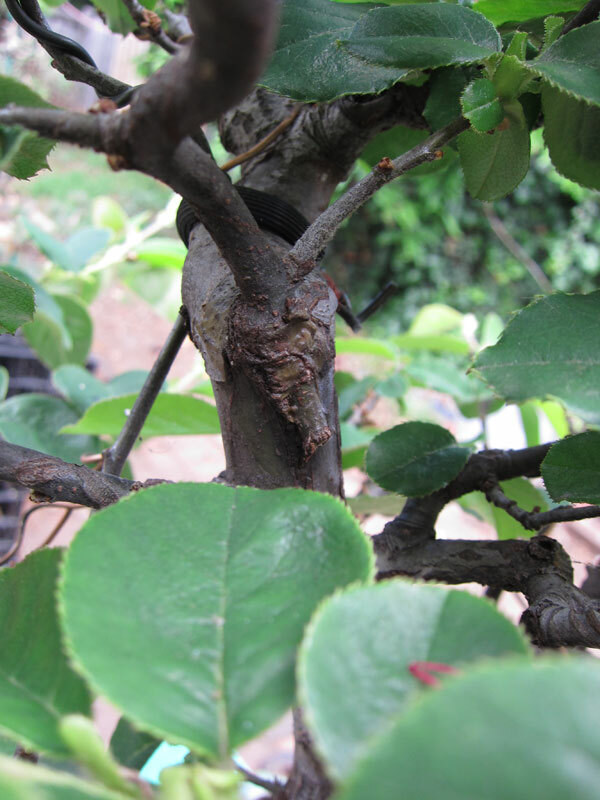 It has been used to gently spread two sub branches. Had this not been used, the two branches would have had to been wired with quite a large diameter wire to achieve the same spreading effect. 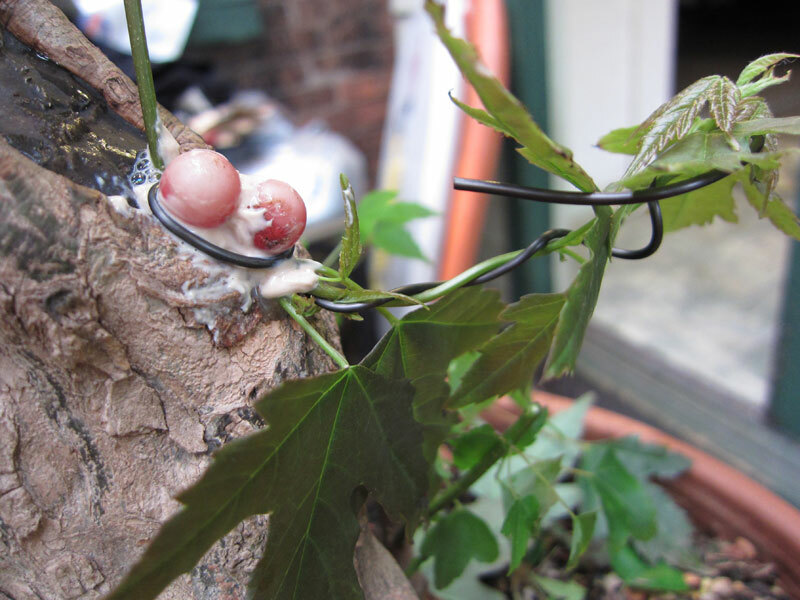 Having avoided using a heavy gauge wire, the wire that is on the branch appears far less obtrusive than it could have. A small trick with large results. 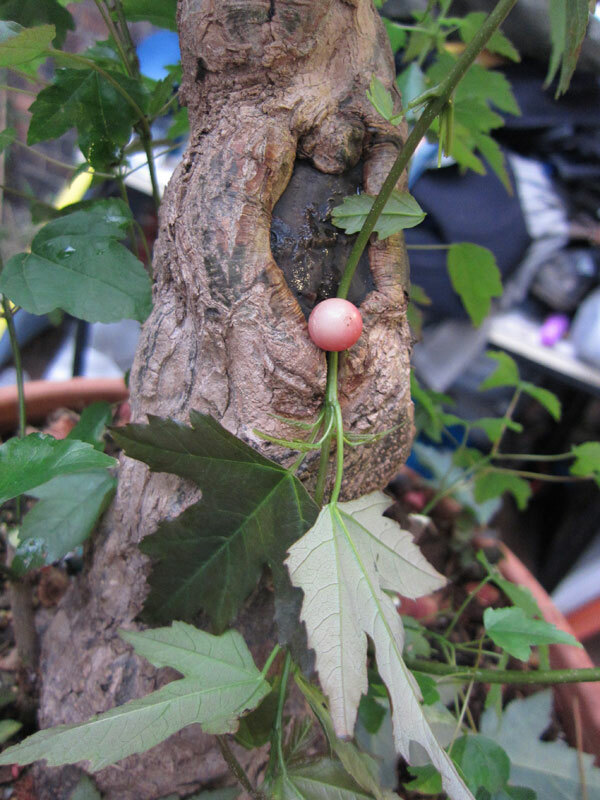 I always look out for these little tricks when ever I am around other people’s bonsai, as I find there is always something to learn. Things have been a bit slow of late on the blog as I am in the process of moving both offices at work and houses. The good news is the house I am moving into has a bigger backyard and the office is closer to home. 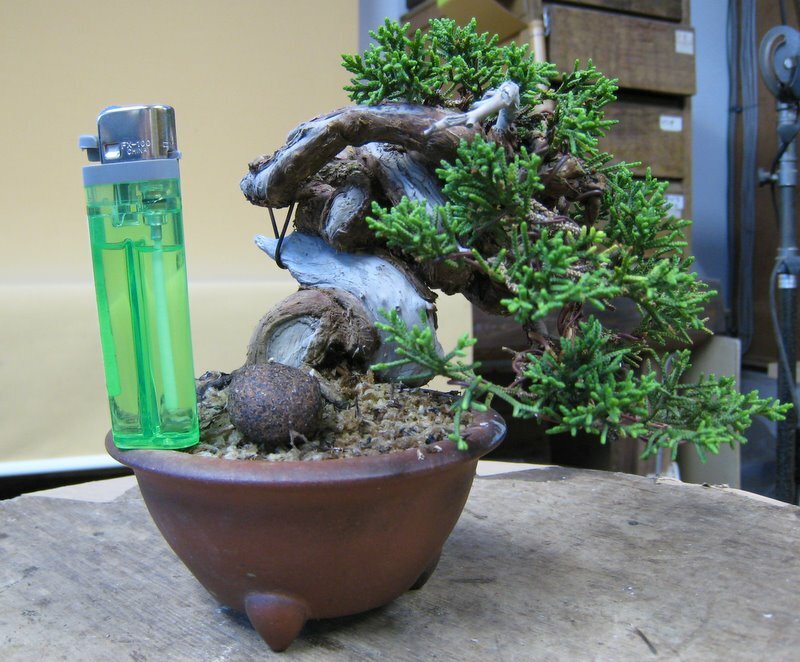 Both these factors should make for more bonsai time. That being said I have still been thinking about Radiatas. 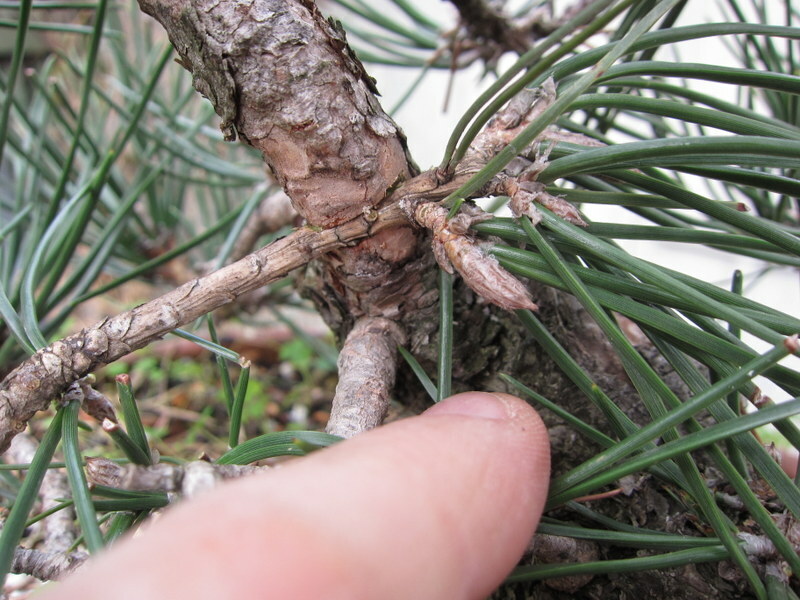 I had received some information that some growers in the USA were classing the Monterey pine in its own 3 needle group along with Ponderosa pines. 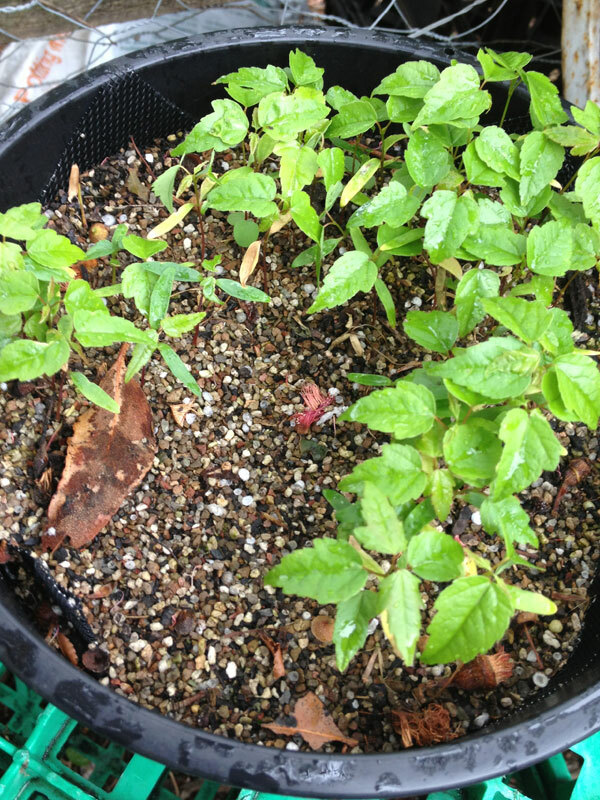 So, i started looking for information on Ponderosa care to see if the techniques would cross over. I was looking for ponderosa information when i came across Ryan Neil’s website. (Have a look if you haven’t already). After seeing the amazing work he is doing on ponderosas I decided to send him an email seeing if he was willing to share his techniques. He was. An excerpt is below. Ryan Neil wrote: To answer your question about ponderosas, I do a few things that seem to help. The main thing is to focus on increasing the number of needles on the tree. 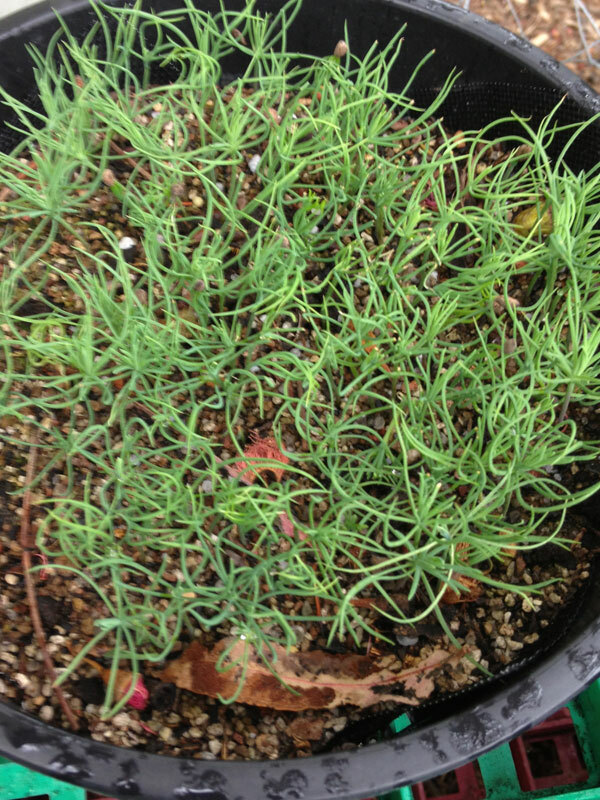 With ponderosas, much like white pine, they are only geared up to produce one flush of growth/year. 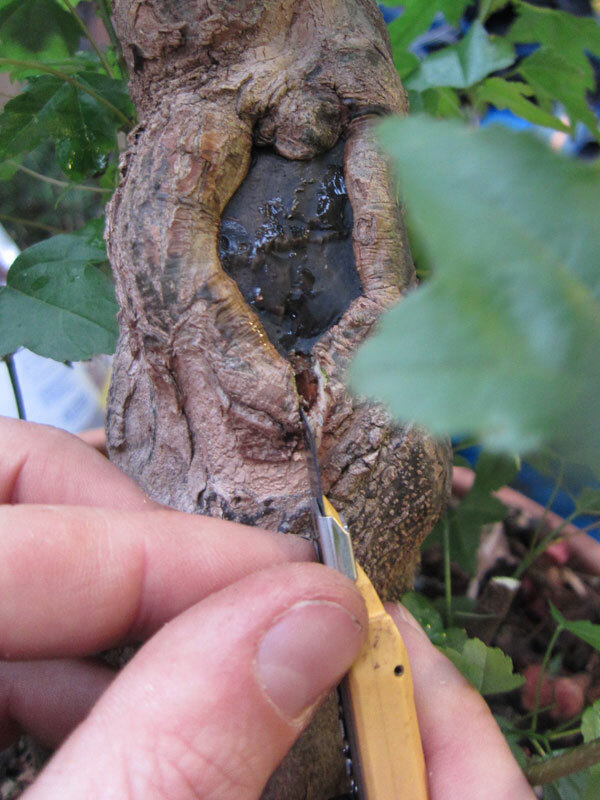 As a result cutting buds or needles is not an option and so the energy of the tree must be distributed amongst a large number of needles in order to dilute the strength put into any single needle. 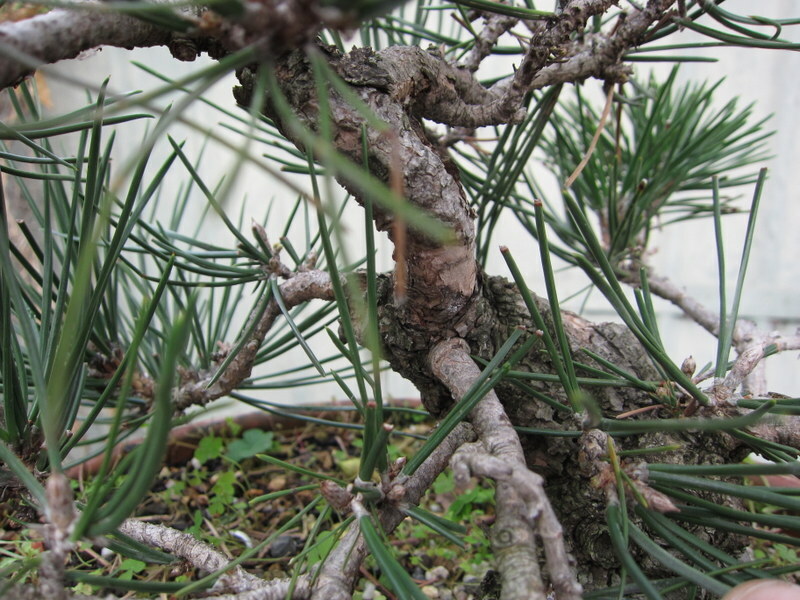 On very old Monterey Pine the same is true. 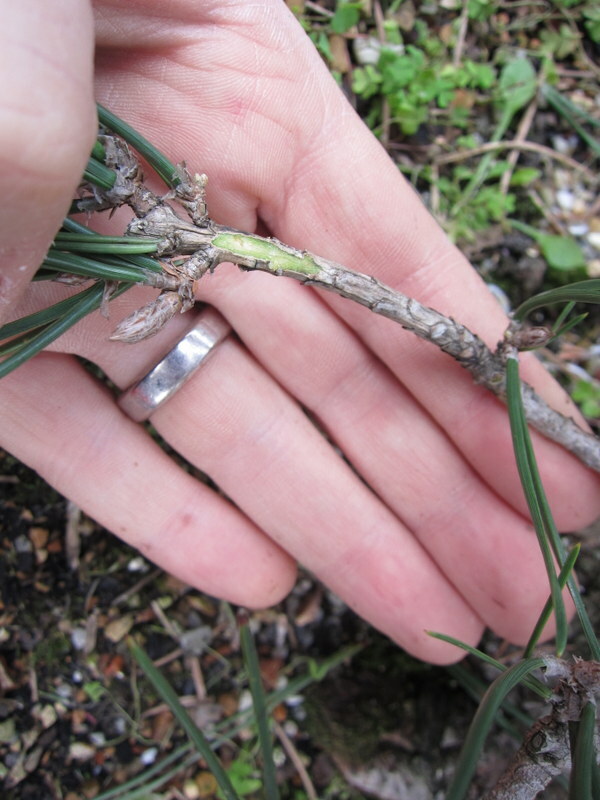 This means not plucking any old needles until the fall and always feeding and fertilizing well during the development stage so as to increase bud and needle count. 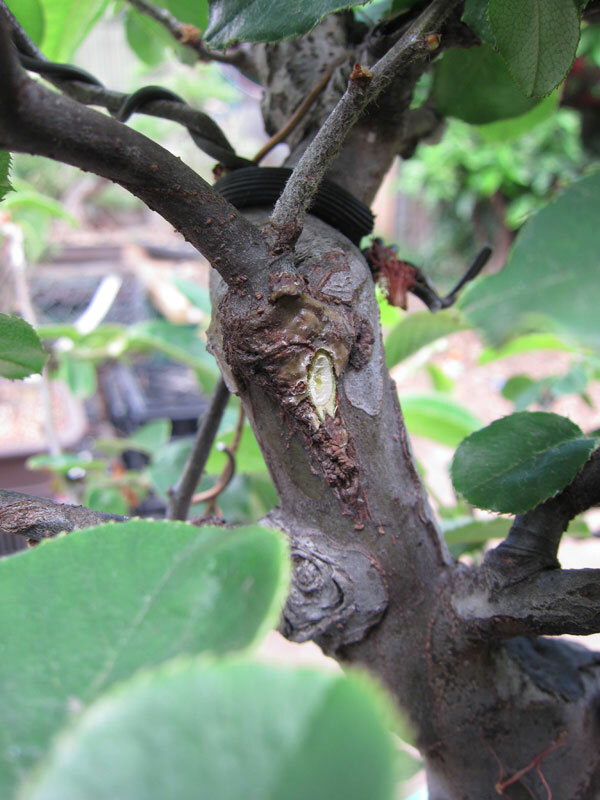 On most trees I have years that are sacrificial of needle size in order to get budding and density, after which I am able to control needle length much easier. I fertilize heavy during these sacrifice years and care little about needle length. 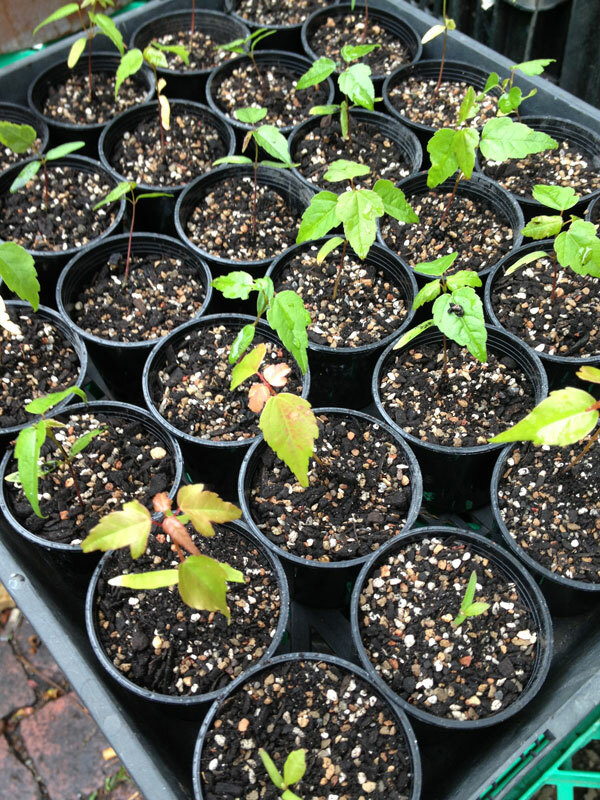 However, once a reasonable amount of needles are present, I will not fertilize my ponderosa until September and only give them small amounts in the fall so as to not overly increase their vigour. Again, this applies to trees that have the bud and needle density I’m after. I was really impressed with Ryan’s generosity and eagerness to share information. 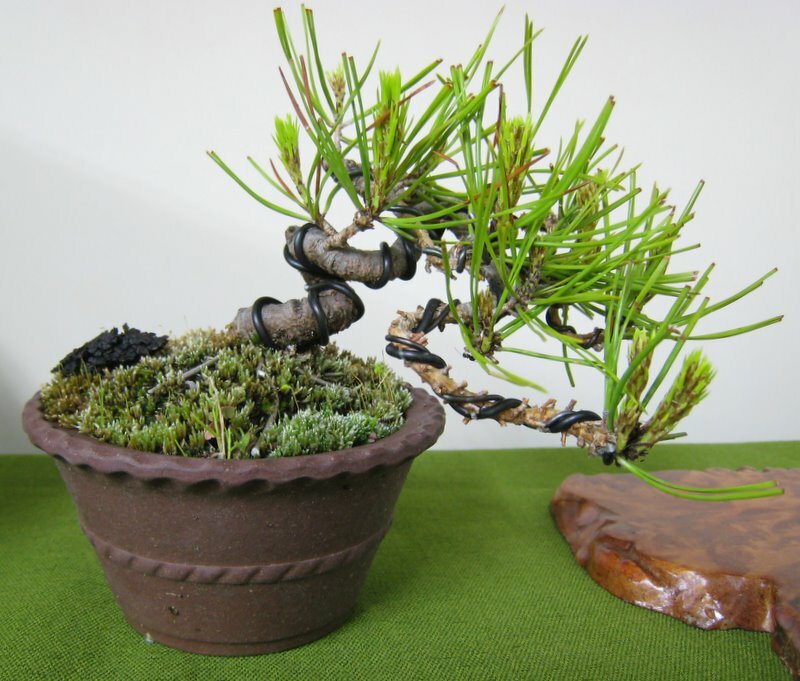 He has already demonstrated that he has a lot to give to the bonsai community and i am sure he will help to raise the standard of western bonsai further. He did mention that he would at some stage like to come out to Australia so fingers crossed for the future. What do people think about using his ponderosa techniques on Radiatas? 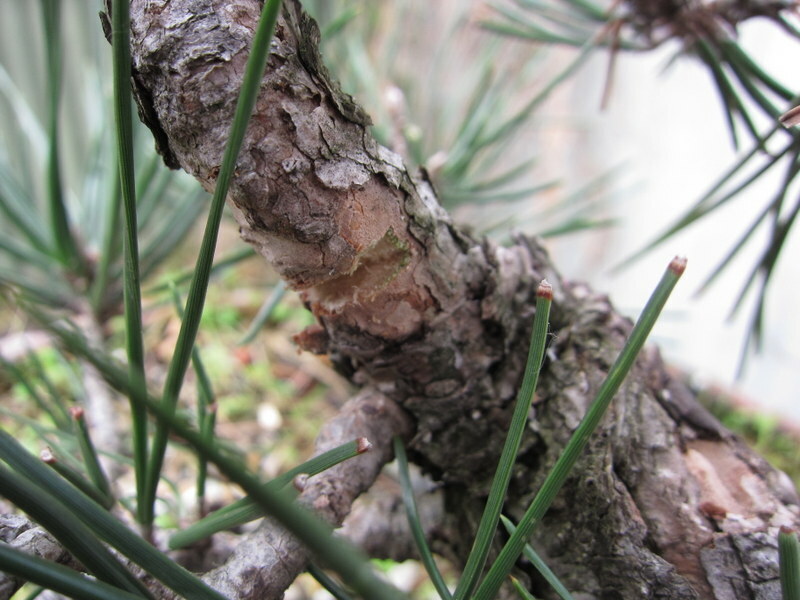 His techniques seem to make a lot of sense and from my own experiences i had found that they do not respond very well to black pine techniques so treating them more like a white may be the next step.